We provide ourselves at JThink on providing the very best customer service. Every suggestion is considered and every problem investigated, SongKong is being continually improved. Over the years we have implemented more systems to help with this, so thought it was time to provide an update. we try to respond within 24 hours 7 days a week, but by posting here you often get help from other SongKong Users. The SongKong Questions sub forum is usually the best forum to use. Facebook and Twitter are not monitored as closely so are not such a good choice as the forum. 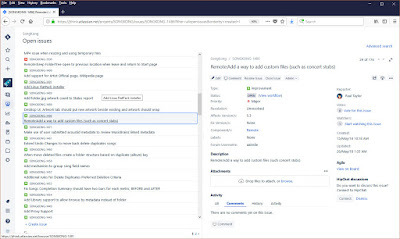 If your issue is in the third category the first thing to do is run Create Support Files. This is available from main menu in Remote Mode and the Help menu in the desktop mode. 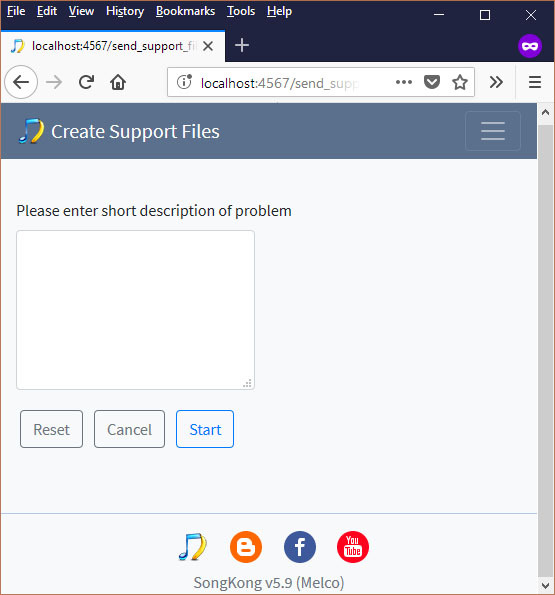 First you need to enter a summary of the problem then this will upload SongKong log files and the last five SongKong Reports to the JThink server and then notify JThink that the support files have been uploaded. The logs files will show more details then the Errors and Warning section of the report. If your problem is how songs were matched/renamed or moved it is much easier for JThink to resolve your problem if we can see your reports. Occasionally we may decide that remote access to your computer would be the best approach. 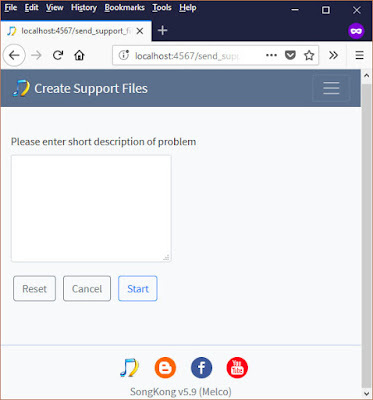 In this case you would need to install the free Team Viewer then by Email we can agree on a suitable time to remote connect, this usually would take no longer than 30 minutes. Whilst SongKong is not an open source project we try and be as open as we possibly can. 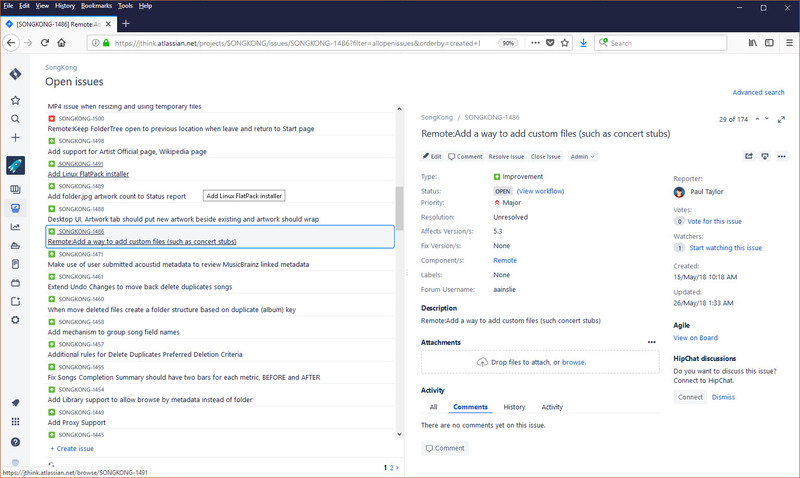 As part of this you can view all the outstanding bugs and improvements at our JIRA tracker. Green issues are improvements/new features and Red issues are bugs, you'll be pleased to know most of the issues are Green.